So many couples are deeply in love, yet they get overwhelmed in times of tension, they feel confused because they’re clueless on what went wrong. 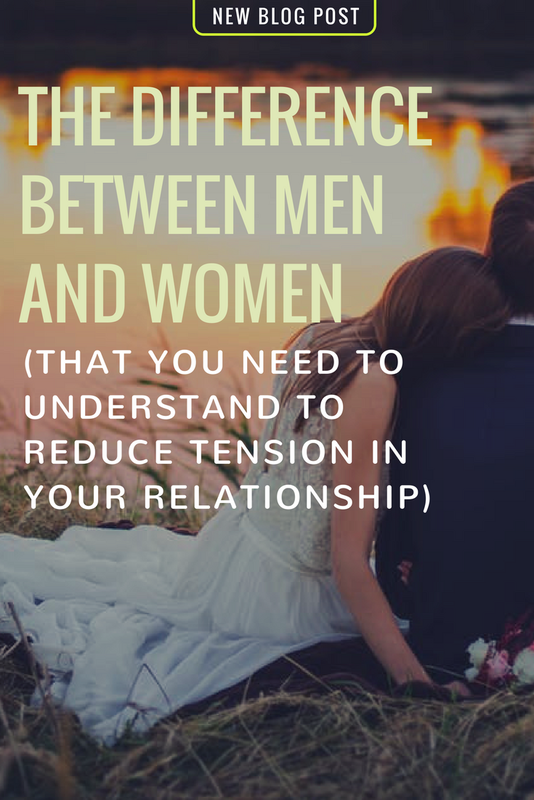 Understanding the difference between you and your partner is a major key to reduce tension in your relationship and create more love. We keep forgetting the fact that we, as men and women, are different. We don’t want the same things and we don’t feel the same way at every given moment. Recognizing and respecting these differences can significantly improve our relationships. Falling in love is always blissful, we strongly believe that will be in love ever after, that we’re the exception to the rule and that what other couples struggle with in their relationships isn’t going to be our case. Eventually, we all descend from the clouds and plant our feet on earth again and then it emerges that we’re different from our spouse, however, we do not take the time to respect those differences and instead we start to demand, judge and resent each other. Love continues to die, we’re constantly arguing and hurting each other. However, relationships can thrive and that’s when both partners acknowledge their differences and respect it. Women frequently complain that men don’t listen to them. Men either ignore the woman when she speaks at all or listen for a few beats and then assess what is bothering her and give her a solution. He is then disappointed when his gesture of love isn’t appreciated and not only his advice is being rejected, but his woman complaints that he wasn’t listening to her at all. What he doesn’t understand is that his woman didn’t need a solution, but empathy. 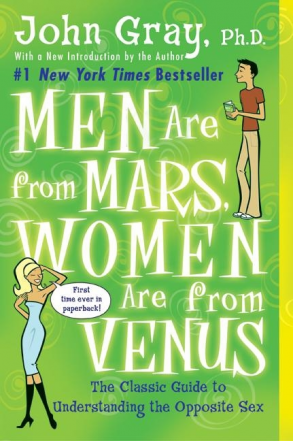 Men frequently complain that women are trying to change them. Women are all about improvement and growth, no matter how much a man might resist his woman’s advice, she keeps giving her advice whenever the opportunity arises. She’s thinking that advising him is a form of love when he feels like being controlled. He doesn’t like to be told what to do, he wants acceptance. Women have different values. They value love and communication, when they nurture and help each other without being asked, for them, this is an expression of love. They experience fulfillment through sharing and relating. To share their feelings is much more important than success and achievements, communication for them is of a great importance. Men rarely do they talk about their problems, unless they need an expert advice. Talking about problems, for men, is a sign that he needs your advice, not just empathy like women need. That’s why a man, instinctively, jumps to give solutions whenever a woman talked about her problems. He assumes that by sharing her problems and thoughts, she needed an expert-advice. Men want to be useful, he feels worthy when he helps his woman solve her problems, so when his advice is being rejected, he takes it personally and feels hurt especially when the women dismiss his advice and keep talking about the problem, he then feels confused and useless, eventually, he stops listening. The thing is men value efficiency, competence, and power. They express feelings of fulfilments primarily from the success and achievements and they pride themselves in doing things all by themselves, autonomy for them is a sign of power. They care more about sports, news, the weather… and they couldn’t have cared less about romance and self-help. They care about things more than feelings, which is the opposite of what women care about. Men are quite different from women, if something is working fine, they don’t really see the point from changing it. They don’t seek improvement and growth as women do. For them, you don’t fix something unless it’s broken, so when a woman tries to change something in her man, he perceives it as a way to tell him that he’s broken and he needs fixing, he takes it personally while the woman thinks that she’s just helping him to improve. In understanding this, a woman can see how a man can resist her advice. Men like to solve their problems on their own and do things their way. If you tell him what to do, he might perceive it as a sign that he isn’t competent and you don’t trust him to do it the right way. Men don’t give advice unless they were asked. Rarely do they discuss their problems, but when they do, it’s a way for them to tell you that they’re trusting you and that they need your advice. So, unless asked, don’t volunteer and give your advice. When you know better than him, restrain yourself from advising him, even if when it comes to the smallest matters because he might get the message that if she can’t trust to do the small things, how can she trust me to do the bigger things? Instead, appreciate that he’s trying his best. By doing that he’ll feel more accepted and trusted. Men need to understand that when a woman is talking about her problems, she merely wants to share her feelings, she’s not looking for a solution. A man who thinks that his woman wants what he wants would interrupt her when she’s talking trying to offer her steady flows of solutions, and when she’s upset he would be left confused, wondering what went wrong. “For example, Mary comes home from an exhausting day. She wants and needs to share her feelings about the day. She says, "There is so much to do; I don't have any time for myself." Tom says, "You should quit that job. You don't have to work so hard. Find something you like to do." Mary says, "But I like my job. They just expect me to change everything at a moment's notice." Tom says, "Don't listen to them. just do what you can do." Mary says, "I am! I can't believe I completely forgot to call my aunt today." Tom says, "Don't worry about it, she'll understand." Mary says, "Do you know what she is going through? She needs me." Tom says, "You worry too much, that's why you're so unhappy." Mary angrily says, "I am not always unhappy. Can't you just listen to me?" Tom says, "I am listening." “Mary says, "There is so much to do. I have no time for me." Tom takes a deep breath, relaxes on the exhale, and says, "Humph, sounds like you had a hard day." Mary says, "They expect me to change everything at a moment's notice. I don't know what to do." Tom pauses and then says, " "Hmmm." Mary says, "I even forgot to call my aunt." Tom says with a slightly wrinkled brow, "Oh, no." Mary says, "She needs me so much right now. I feel so bad."